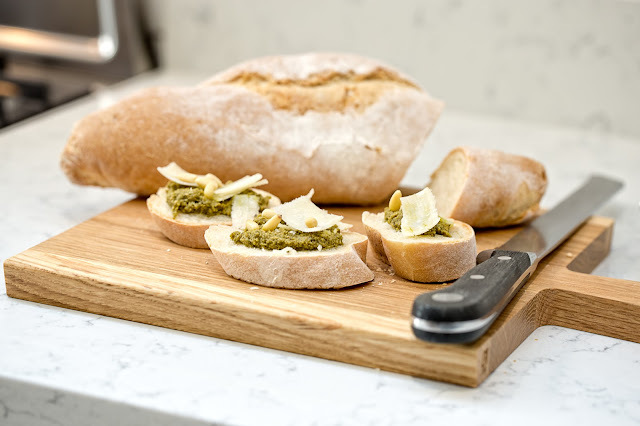 We're thrilled with the photos from last weeks photo shoot! This beautiful Berkshire cottage has been transformed with a recent rear extension and bespoke shaker kitchen. 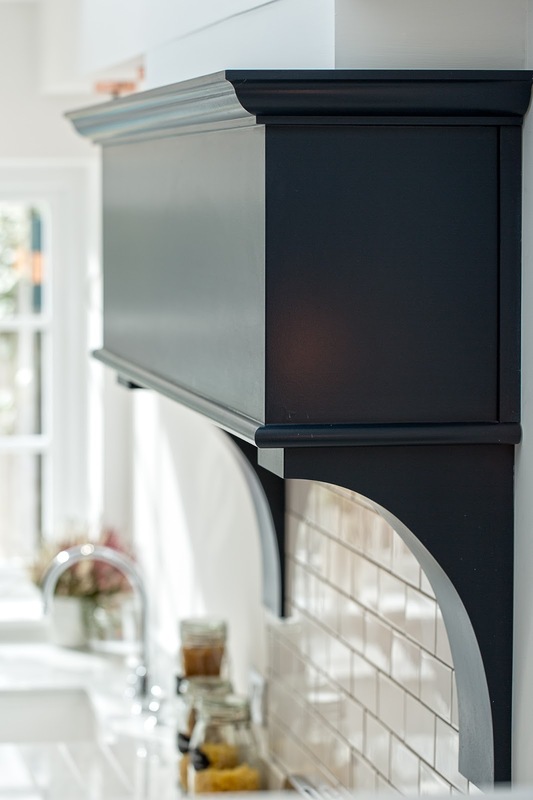 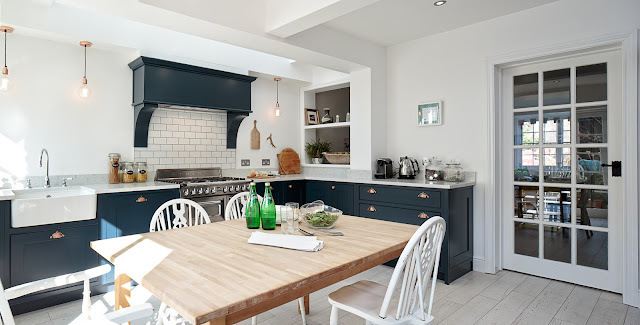 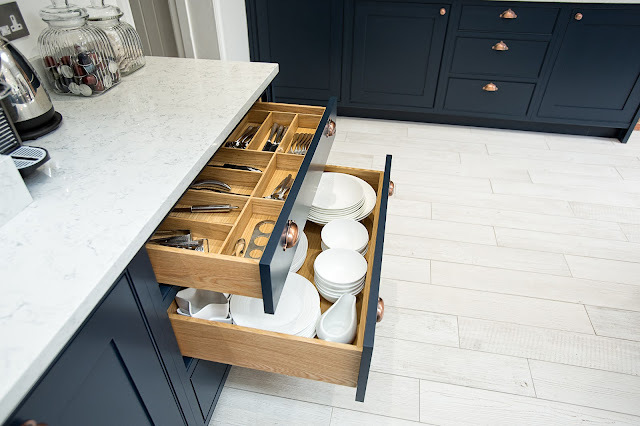 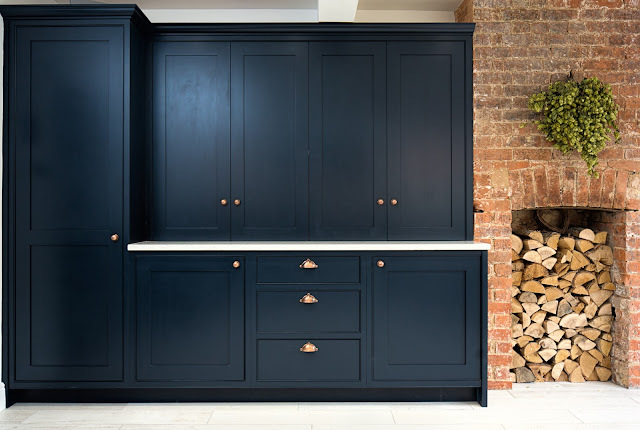 The cabinetry is painted in The Little Greene Paint Company's Basalt and the worktop is a marble effect quartz. 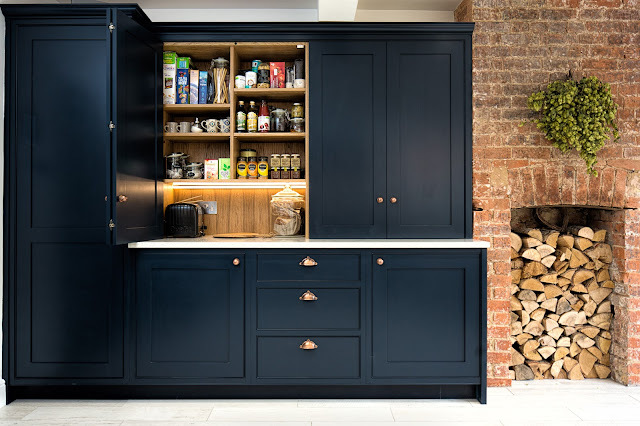 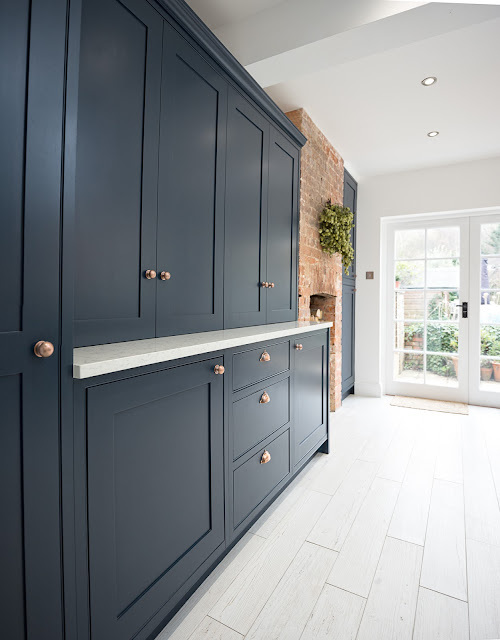 The bold dark blue cabinetry with surrounding beading, looks stunning with its pale flooring and quartz worktop. 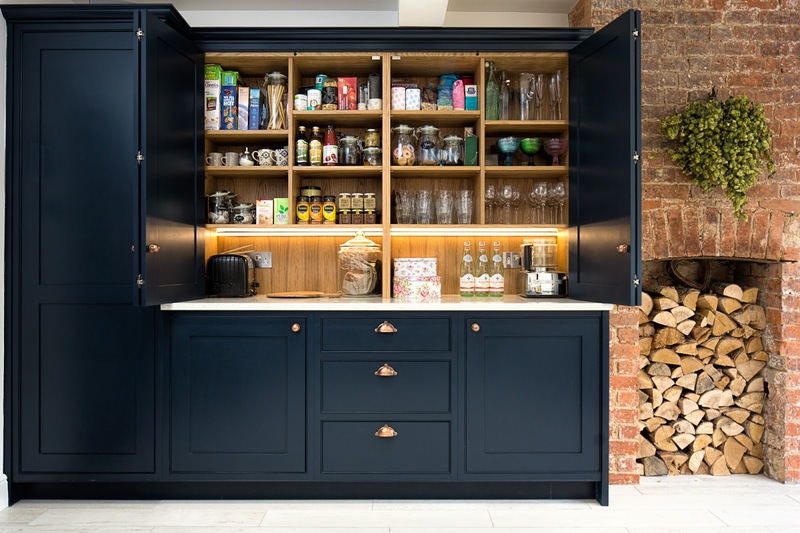 Accents of oak tie it all together to make this a lovely warm space. 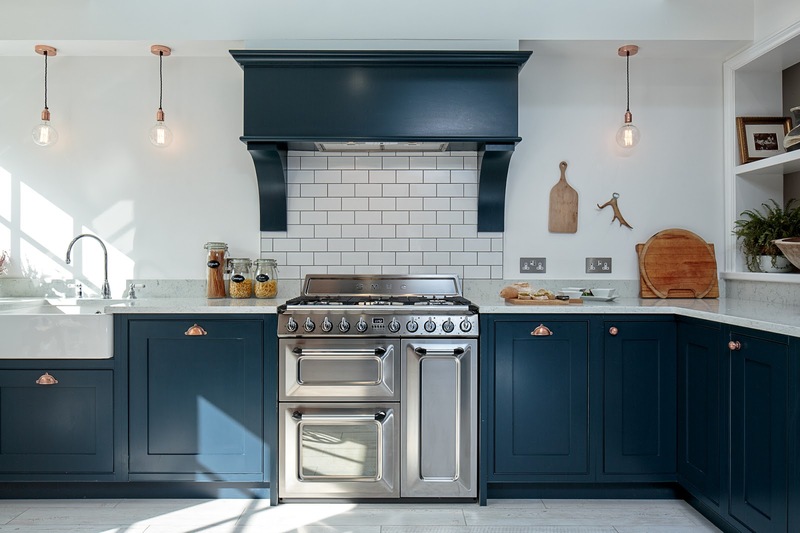 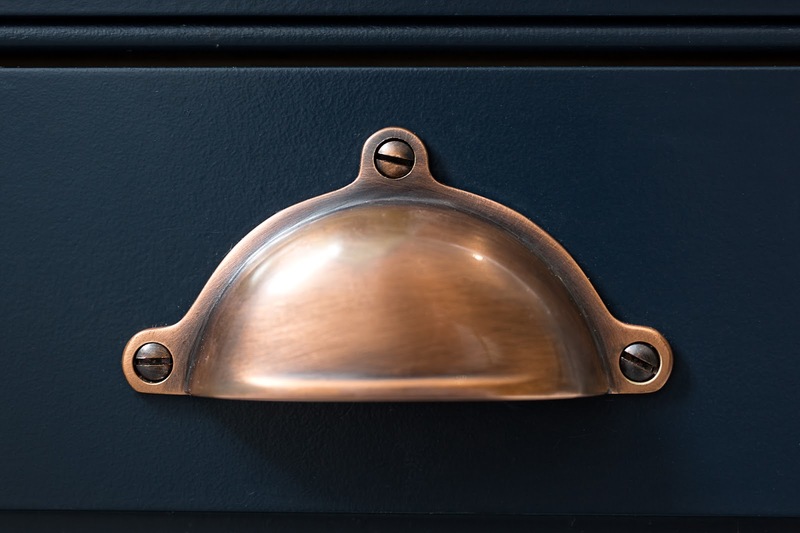 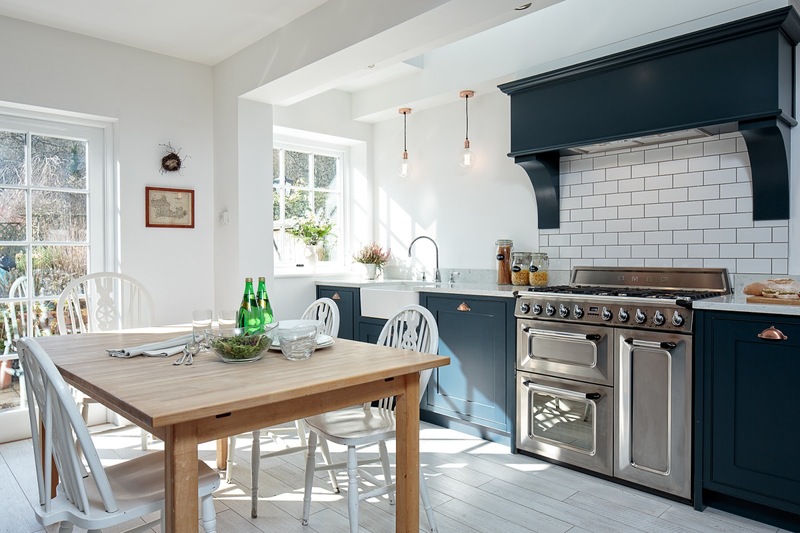 The kitchen is full of stylish touches including the antique copper handles and copper pendant lights. 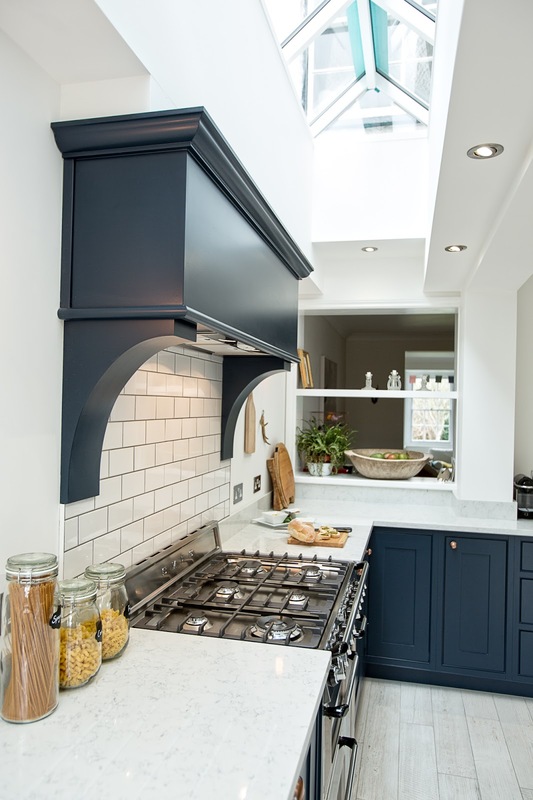 The mantel acts as a real focal point in the room as does the worktop mounted dresser which keeps the space clutter free and streamlined. 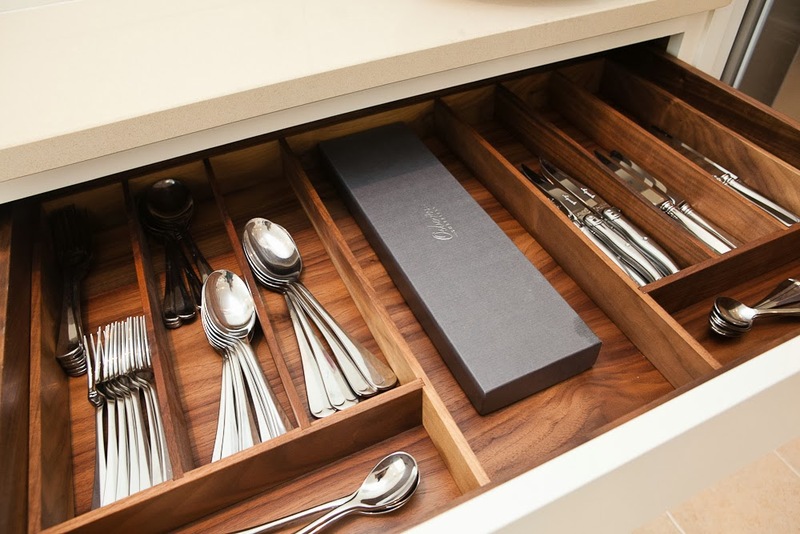 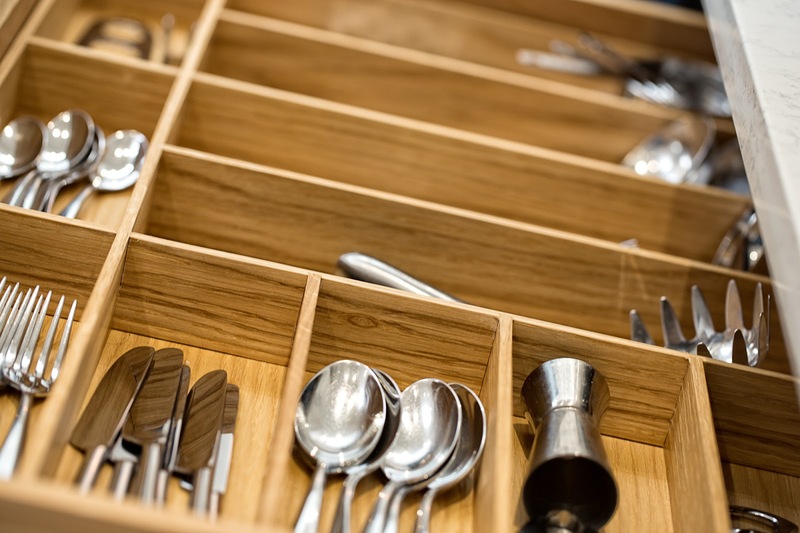 Hand made oak cutlery trays provide a bespoke touch. 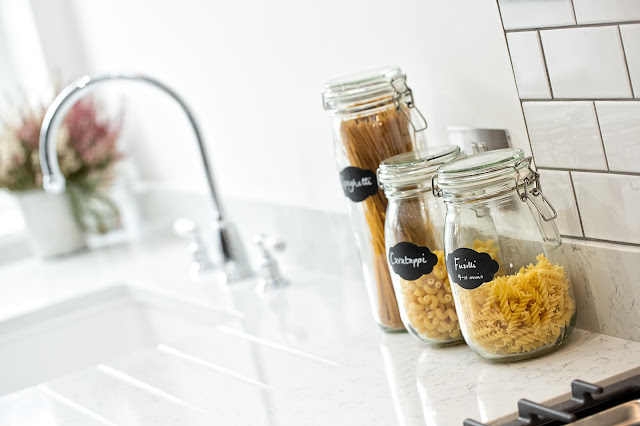 Not only do they look amazing, they are really practical too. 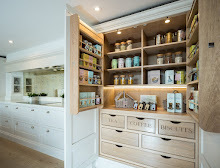 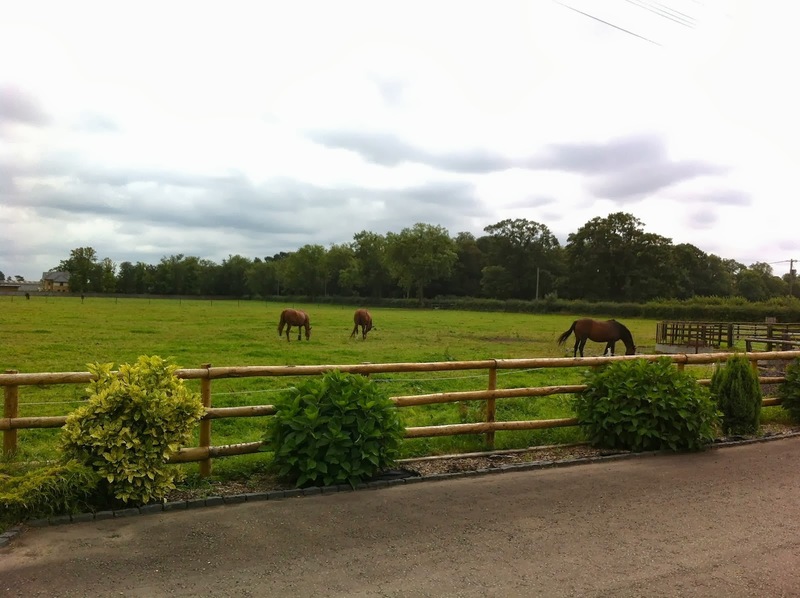 Thank you to Martin Edwards Photography for our stunning photos!